Third Floor Movement grew spontaneously out of their church's youth band, based in Tunbridge Wells, UK. Inspired by bands such as Delirious? and Rend Collective Experiment, the band turned their attention to writing songs that would serve the church in both a worship context and for personal devotion. Their aim is to write music accessible to everyone with unashamedly Christian lyrics. It's easy to talk about trusting God to direct things in your life, but much harder to take the step of handing over the reins. 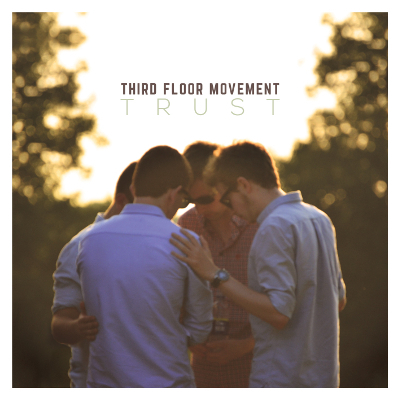 'Trust' is a collection of five more songs written in the year since Third Floor Movement's previous release, 'Sing Of This Love'. Inside you will find possibly their most mature sounds and words yet. LTTM is delighted to be the first place on the web where you can download TFM's 'Trust' EP in its entirety, and totally free! Download courtesy of Third Floor Movement.